You might have heard this before, “Many of life’s failures are people who did not realize how close they were to success when they gave up” from Thomas Edison. Are you stopping short of success? Consistency and desire are the differences between failure and success. Edward Beck has been through two full real estate cycles. From doing 20+ deals per month with a large team pre-2005…to trimming down his business, but focusing on fewer, but better deals… Edward has seen it all in his market of El Paso, Texas. Bandit sign wars, door knocker sorrows, and how he’s using online marketing for real estate investors and Carrot to cut through the clutter… now online marketing is his #1 source of high-profit deals. 2:30 – The power of reading and expanding your mind. 8:25 – How Edward got started in real estate investing 12 years ago and why consistency is so important. 10:50 – What types of business shifts did he make during the up and down cycles of the last 12 years. 13:45 – How his market of El Paso, Texas is performing right now and taking advantage of data that comes from the Dallas market. 16:15 – Edward’s business models and the changes he’s made in his marketing. 22:00 – What types of messages he includes when marketing with print materials. 24:10 – When and why he started using the web for some of his marketing and what original results did he see. 27:00 – Why he chose to join InvestorCarrot even with a site that was ranking 1 or 2 for competition search terms. 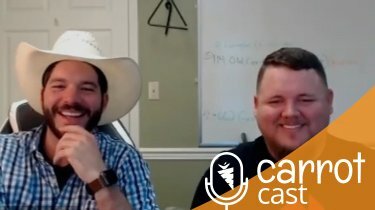 30:20 – What type of results Edward has been getting from his online marketing for real estate investors and how the quality has been over something like bandit signs. 34:00 – His lead to close ratio for online vs. offline marketing. 37:40 – The psychological side of cutting through the market clutter. 41:50 – Where Edward feels his business would be if he hadn’t switched to InvestorCarrot. 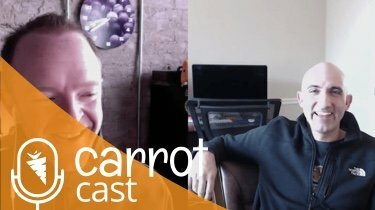 44:00 – What extra impact Carrot has had on his business and where he’s been able to scale back on costs because of it. 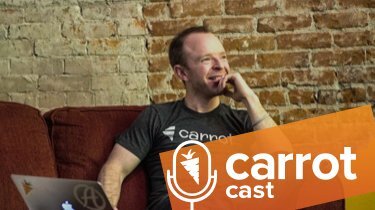 45:30 – What advice he would give to other investors if they were looking to join Carrot vs. building their own website.